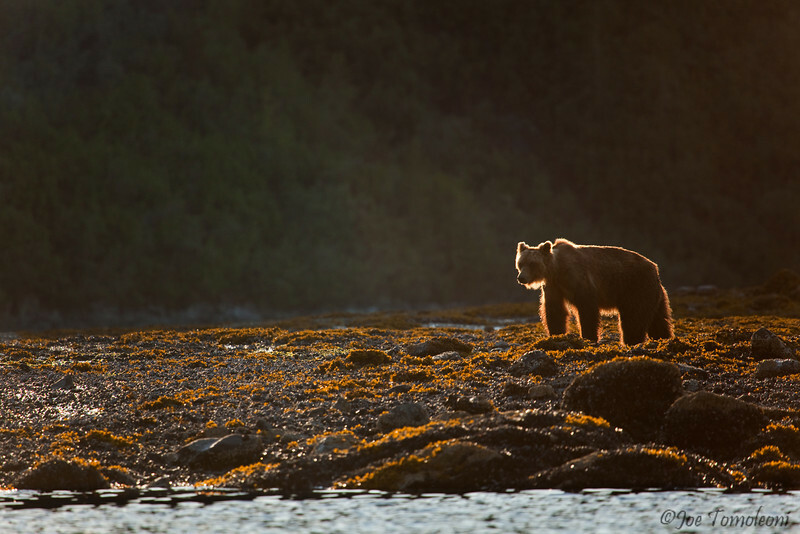 A brown bear surveys the intertidal for a late afternoon snack. Brown bears define the term omnivore. Their diet ranges from berries, grasses, roots and sprouts, to fish, insects and small mammals. Though it may seem odd that such a large predator dines on such small animals, they will also prey upon moose, caribou, bison, and muskoxen. Bears will rarely pass on a free meal though, and have been know to scavenge the carcass of wolf kills and especially in coastal Southeast Alaska, dead whales that wash up on the beach.